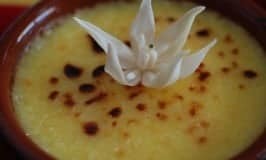 Crema de Catalan is known as the Catalan Crème brulee, this custard version has a citrus twist. It is pretty easy to make you just need to watch it closely. 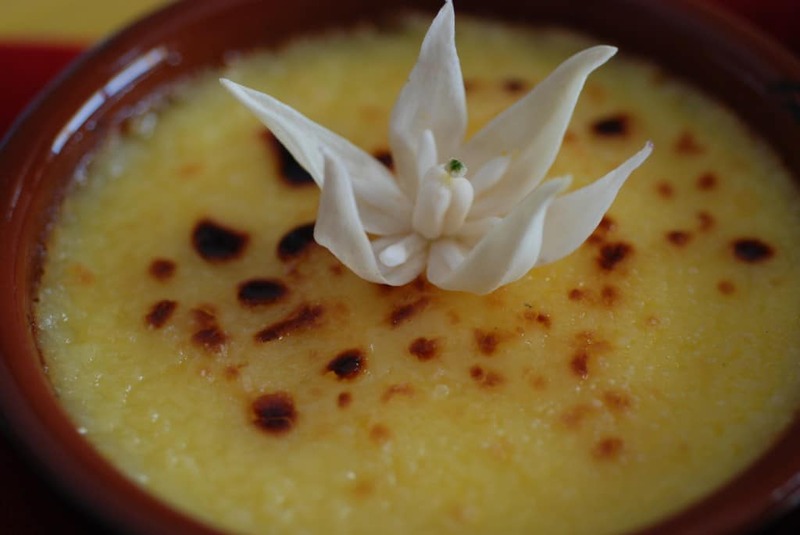 Crema de Catalan is believed to be Europe’s oldest custard dessert. When it says stir constantly, you really need to. You can Brulee the top with either a torch or in the broiler. 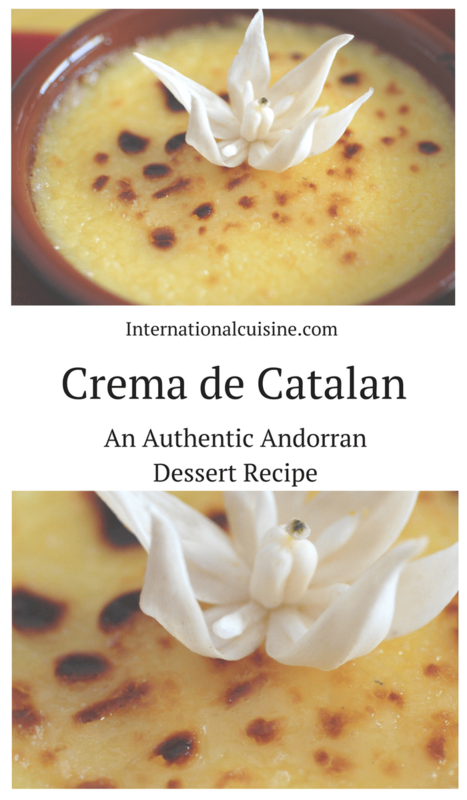 This citrusy, custard Andorran treat was the perfect ending to our International Cuisine meal. Did you know that Andorra is the only country in the world in which Catalan is the official language? 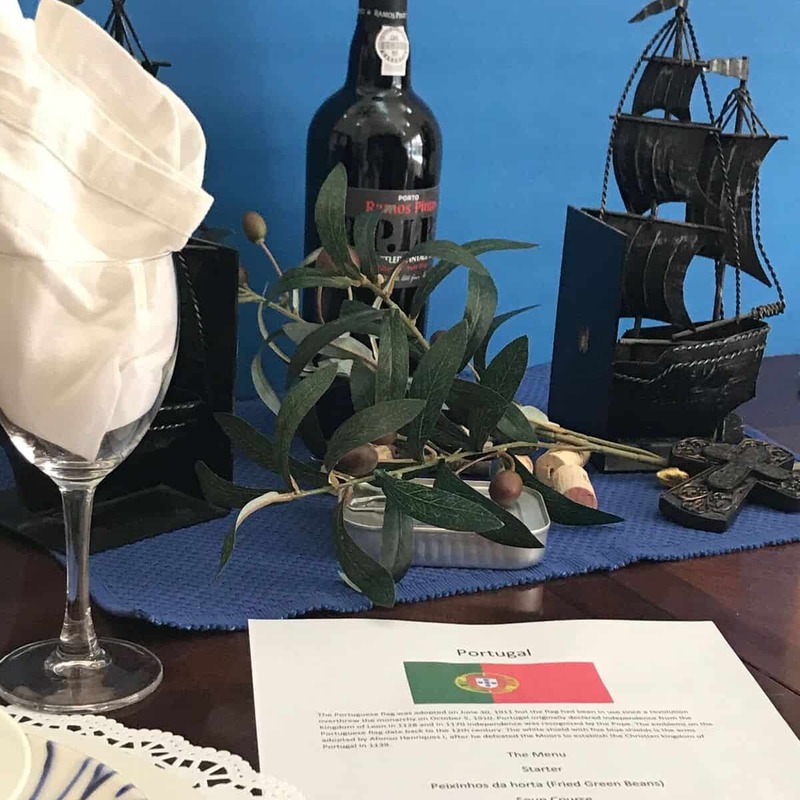 Be sure to join the culinary journey around the world and if you would like to learn more about this tiny country of Andorra be sure to check out “Our Journey to Andorra“. Craving even more? You can also find me on Instagram, Facebook , Pinterest and Youtube, to follow along on our incredible journey. In a sauce pan, Mix the egg yolks with the sugar to a creamy consistency. Add in just 1 ½ cups of milk and stir to thoroughly combine. Add in the lemon zest and cinnamon stick. Meanwhile, dissolve the cornstarch in the remaining ½ cup of milk. Bring to a slow boil while stirring and right when the first bubble appears, set it aside. Ladle the custard into individual ramekins and let cool. Sprinkle the top with sugar and Brulee the top with either a blow torch or put in the broiler until the top is scorched.